Fix up your restroom with an American Standard toilet. 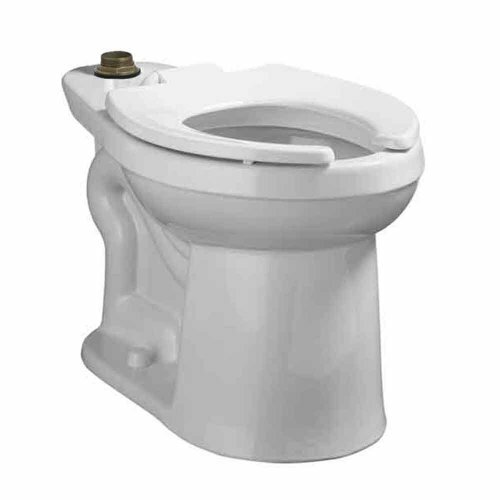 This American Standard Madera toilet features a powerful direct-fed siphon jet action flush to prevent clogging. It has a generous 10 by 12-Inch water surface area. 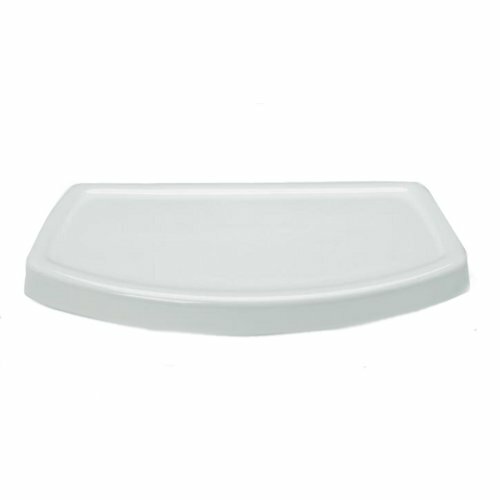 It has a 10 or 12-Inch rough-in for installation and a fully glazed 2-1/8-Inch trapway. 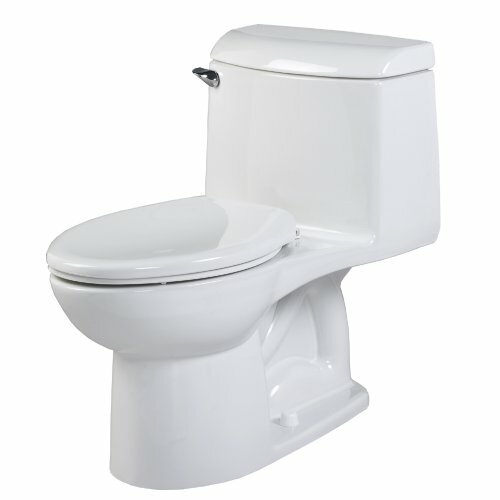 The Madera toilet is designed to save you money with a high efficiency, low consumption 1.6-Gallon-per-flush. It also features a 1-1/2-Inch inlet spud. Included in this toilet is 2 bolt caps, seat is not included. 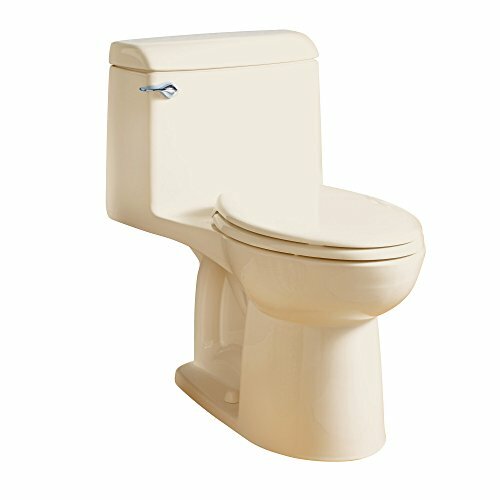 American Standard s Boulevard right height elongated one-piece FloWise toilet available in white, bone, and linen colors is classic and ruggedly handsome. Designed with an uptown attitude that s bold and sophisticated, the Boulevard toilet brings a mid-century modern flair to any bathroom or powder room. Plus, it has the added benefit of FloWise technology to help conserve water without compromising on style. 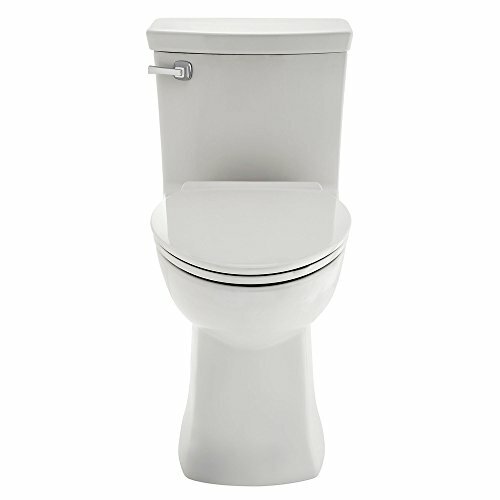 One American Standard Boulevard FloWise right height elongated one-piece toilet, one Duroplast slow-close toilet seat, and two color-matched bolt hole covers. The Boulevard toilet's mid-century modern design complements a variety of bathroom decors (click each to enlarge). 1.28 GPF, elongated bowl, HET, EverClean surface. 12' rough-in. Space-saving design fits in the space of a round front toilet. The clog-free performance of the champion 4 toilet produces a faster, more powerful flush, quietly. 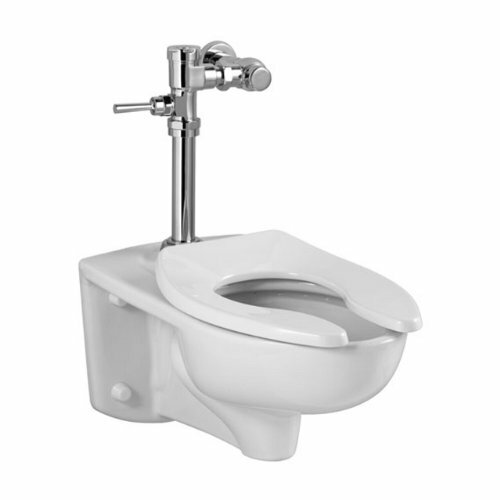 This heavy-duty toilet can move a 70% larger mass than the industry standard, so it virtually eliminates clogs. This stylish one-piece toilet design features an everclean surface that's easier to clean and stays cleaner, longer, and an elongated bowl for maximum comfort. Our progressive slow-close toilet set, now included, makes toilet seat slamming a thing of the past. The rapidly elongated commercial toilet is a wall-hung 3445L101.020 that delivers durable performance in high traffic applications. Recommended working pressure between 25 psi at valve when flushing and 80 psi static. Elongated Wall-Mounted Flushometer Valve Toilet. EverClean Surface Inhibits the Growth of Stain and Odor Causing Bacteria, Mol dand Mildew on the Surface. Condensation Channel.Afwall Collection. Pictured with Flush Valve, Flush Valve Sold Separately. 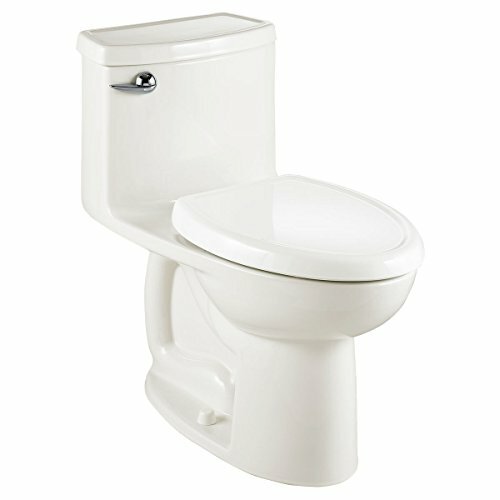 Improve the look of your bathroom with this American Standard toilet. The Madera toilet by American Standard features an Ever Clean surface to inhibit the growth of stain and odor causing bacteria, mold and mildew on the surface. This American Standard Madera features a fully glazed 2-1/8-Inch trapway, a 10 or 12-Inch rough-in, and a 10 by 12-Inch water surface area. It has powerful direct-fed siphon jet action to prevent clogging. It's also designed to save you water by using only 1.6 gallons-per-flush. Two bolt caps are included with this toilet. The seat is not. 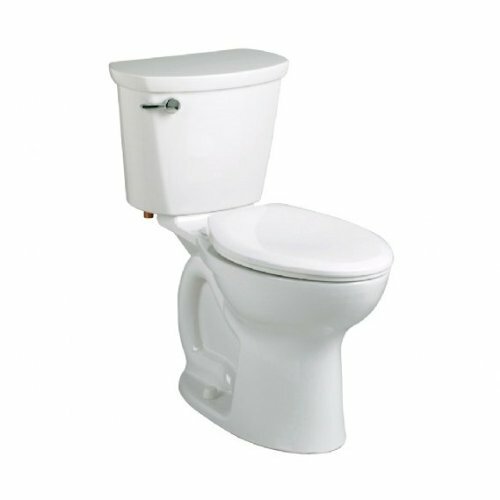 This American Standard toilet features an Ever Clean surface to inhibit the growth of stain and odor causing bacteria, mold, and mildew on the surface. It has a fully glazed 2-1/8-Inch trapway and features powerful direct-fed siphon jet action. It has a generous 10 by 12-Inch water surface area. The Afwall toilet is ADA compliant and is designed to save on water with a high efficiency, low consumption 1.28 gallons-per-flush. 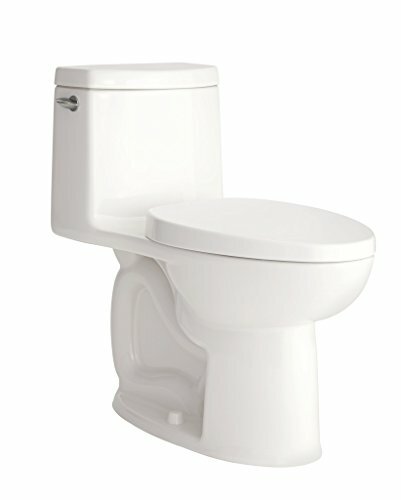 American Standard Toilet - Cadet Pro Rh El 10 Inch R L/Seat White. Collection Name: CADET. SIOP Category: Chinaware Other Combination Residential. The loft one-piece toilet is the perfect addition to the modern bathroom with its clean lines and striking, angular shapes. 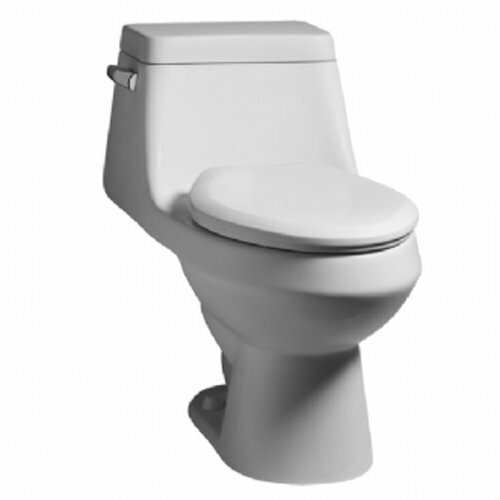 Part of the loft Collection from American Standard, this high efficiency toilet delivers higher performance and fewer clogs using just 1.28 gallons per flush. 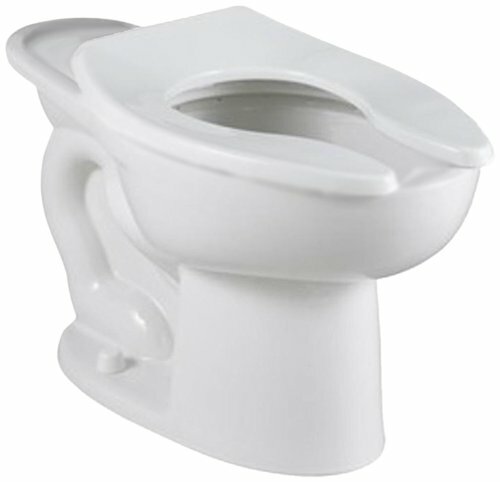 This one-piece toilet design with concealed trapway is sleek and stylish. The taller 16- rim height provides greater comfort, and its Ever Clean surface stays cleaner, longer. 2891200.020 Features: -Includes duroplast slow close toilet seat and cover with concealed seat ring and easy lift - off feature for simple removal and reattachment for cleaning. -Luxury. 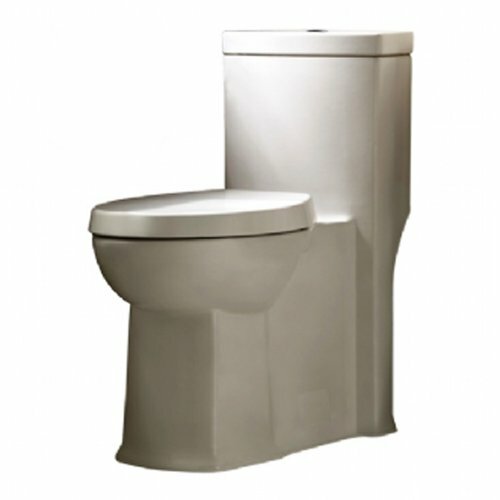 -Right height elongated siphon action dual flush bowl with smooth-sided, concealed trapway. -High efficiency, low consumption, full flush (1.6 gpf/6.0 lpf), conserving flush (1.1 gpf/4.1 lpf), utilizes 21% less water. -Meets EPA watersense criteria (pending), everclean surface, powerwash rim scrubs bowl with each flush. -Bowl 1.1 - 1.6 gpf. 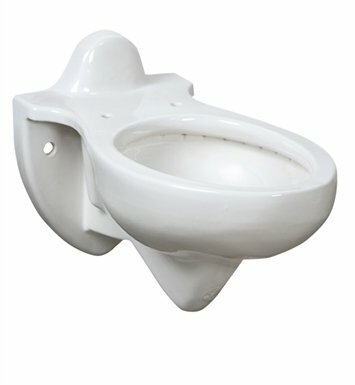 Product Type: -One-Piece toilets. Finish: -White. Material: -Vitreous China. Pieces Included: -One-Piece Toilet; Seat. Dimensions: -Water surface area: 9''x 8''. Overall Height - Top to Bottom: -30.88". Overall Width - Side to Side: -14.5". Overall Depth - Front to Back: -29.75". Overall Product Weight: -117.4 lbs. -Rough-in. 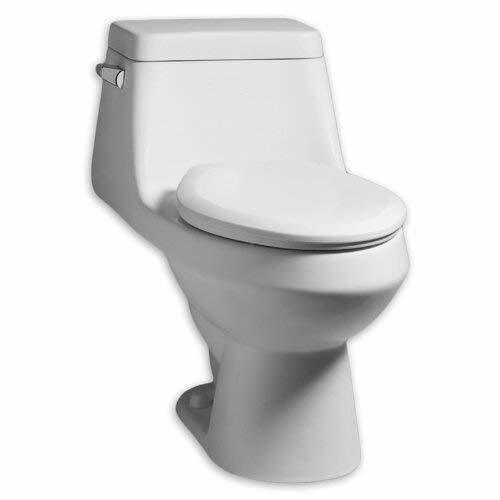 The revolutionary design of the Townsend vormax right height elongated toilet blends style and functionality for an architecturally inspired piece with leading innovations. Featuring the superior flushing technology, the vormax siphon action flush scrubs the bowl with every flush. 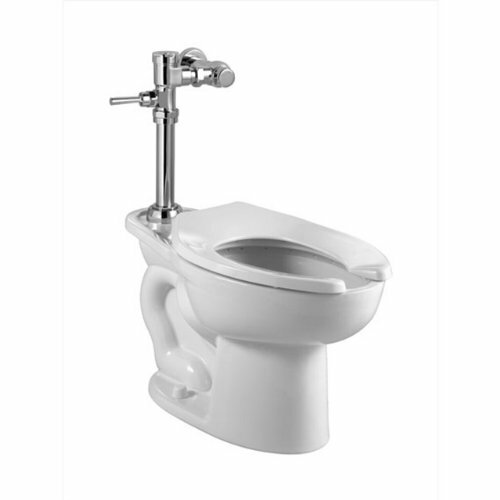 Along with the Clean Curve rim and Ever Clean surface, your toilet will remain clean longer. Designed to coordinate beautifully with the Townsend Collection, the Townsend vormax elongated toilet is the perfect addition to complete your contemporary bathroom.